Project: Rivers are dynamic entities that change course and migrate laterally over time. DOGAMI has conducted several channel migration studies in order to map the potential hazard that this natural process poses to human infrastucture and public safety. 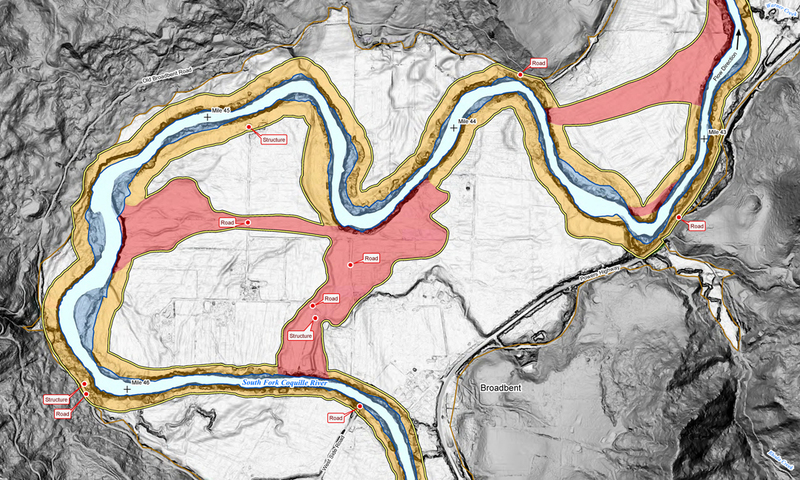 Using historical aerial photos and current lidar data, historical river migration was mapped and then extrapolated into a hypothetical 100-year migration area. Through remote sensing and field work, this was further refined by identifying bedrock, areas of previous avulsion and pre-historic migration, and by locating human infrastructure that affected lateral river movement. The 100-year channel migration zone was mapped along with current/historical channels and potential avulsion areas. Man-made infrastructure in the channel migration zone was also identified. The resulting maps were displayed with both a lidar slopeshade background (emphasizing topography) and an aerial photo background (emphasizing infrastructure). Channel Migration Zone studies of the Sandy and Hood Rivers were also included in the Mount Hood Multi-Hazards Risk Study. 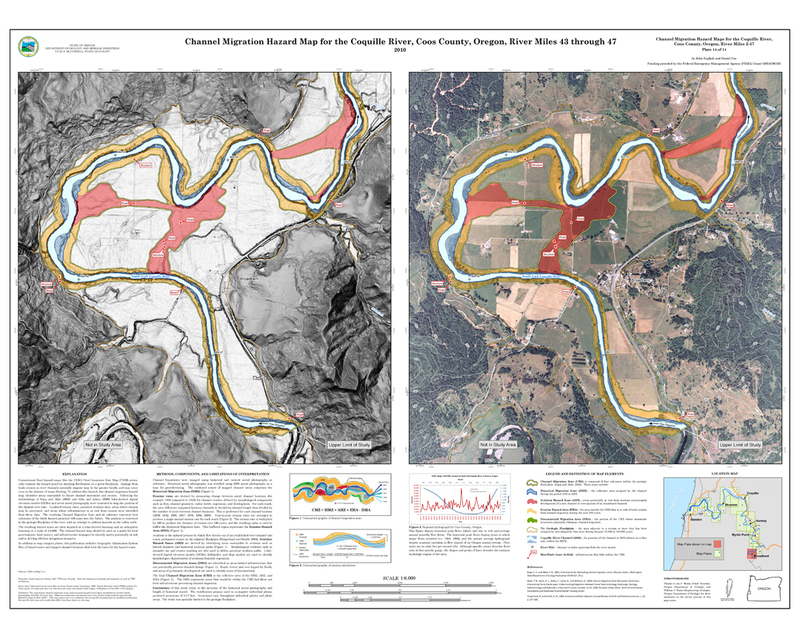 Channel Migration Zone plate from the Coquille River in Coos County, Oregon.